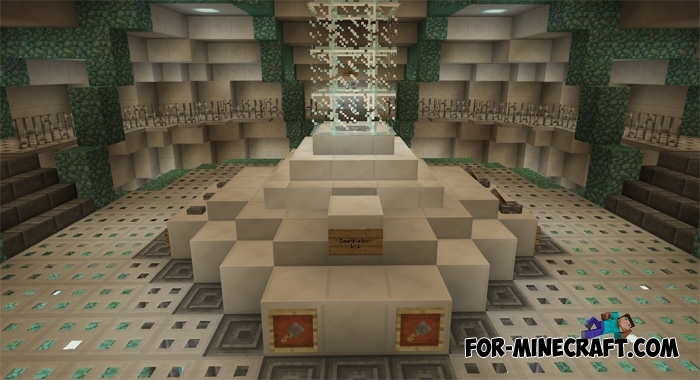 This map is based on command blocks through which teleportation to other rooms occurs. The main element of the map is Tardis intended for movement in time and space, although there is only a normal teleportation. 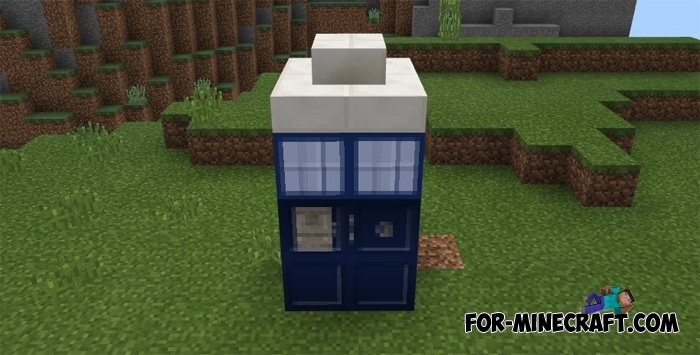 By the way, there is the Tardis mod capable of really moving the player to different points and additional Tardis settings can change the time and position. This is not the first experiment where Tardis is built, you can find a few more earlier maps with these phone booths for time travel. But for today, this map combines the correct operation of command blocks and beautifully constructed structures.